A number of weather events in recent years have demonstrated that those living in mapped, high-risk flood zones are not the only ones at risk of experiencing costly property loss from floods. AUGUSTA, Maine – A number of weather events in recent years have demonstrated that those living in mapped, high-risk flood zones are not the only ones at risk of experiencing costly property loss from floods. In fact, more than 20 percent of flood insurance claims come from outside of high-risk areas. While a homeowners or renters policy may pay for water damage inside a house, such as from an ice dam or a burst pipe, it will usually not pay for unusual or rapid accumulation or runoff of surface waters, such as those cause by snowmelt or torrential, soaking rain. While mortgage lenders generally require homes in flood zones to have flood coverage, it’s usually an optional purchase for all others. Many people assume incorrectly that their basic homeowners insurance policy will cover damage from flooding, but flood coverage must almost always be purchased separately. 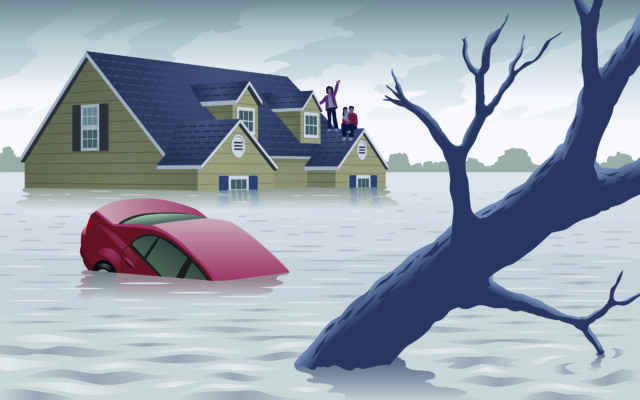 Flood Insurance: Details are available from the National Flood Insurance Program (NFIP) by calling 1-800-427-4661 or online at www.floodsmart.gov. Inventory Checklist: A checklist can be helpful in establishing an insurance claim. Start one at www.maine.gov/insurance/consumer/individuals_families/homeowners_renters/home_inventory_checklist.html and keep a hard copy in a secure location away from your home, with insurance policies, medical records, and other important documents. For information about preparing yourself and family for emergency situations, such as floods, storms, power outages and home fires, visit https://www.ready.gov/ The Maine Emergency Management Agency (MEMA) provides Maine specific information at www.maine.gov/mema/prepare/.